« More 2011 Photos to go with the ones below! 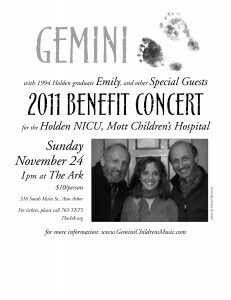 Thanksgiving Sunday 2011 – Gemini and Friends Family Concert to benefit the NICU! 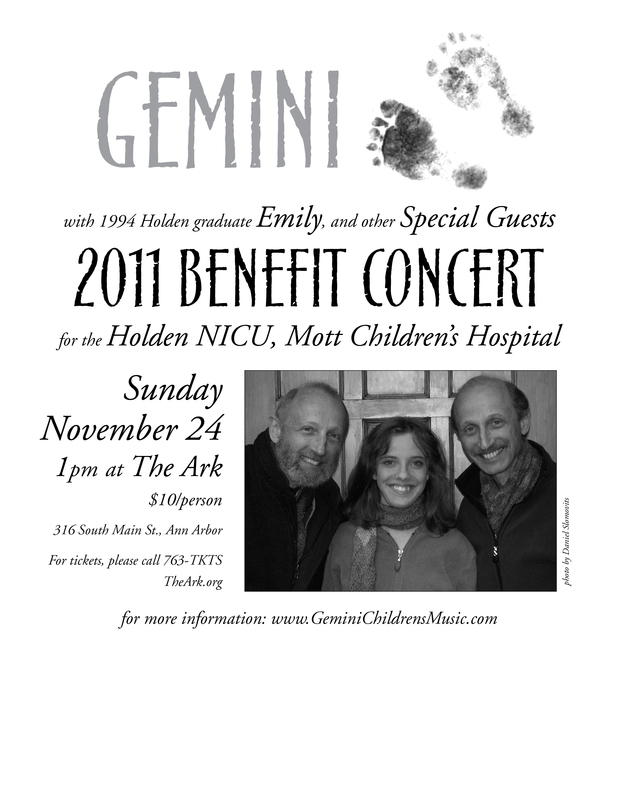 Gemini & Friends Family Concert for kids of all ages to benefit the NICU. Funds will benefit family programs like Hope Beads, scrapbooking, family library, and the reunion. 1pm at the Ark in downtown Ann Arbor. This entry was posted on Friday, July 22nd, 2011 at 11:18 am.